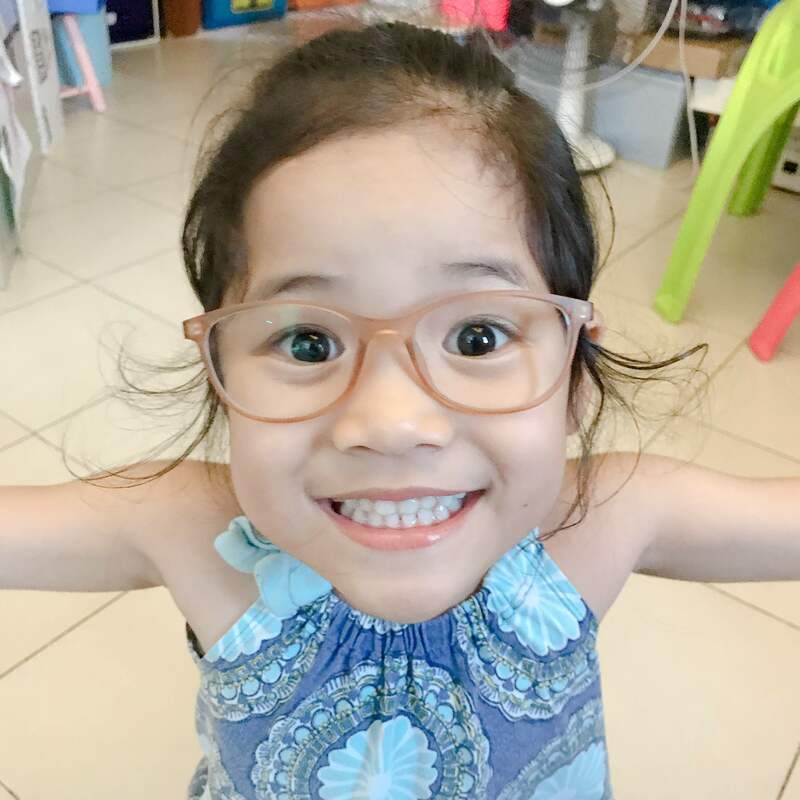 During one conversation with my daughter, Zeeka, she asked me to get her eye glasses. She didn’t want shades; she really wanted what mommy and daddy had. What triggered it more was that she saw her best friend wear glasses. The little girl had astigmatism. I kept on telling her that her best friend needed it to correct her eyesight and she didn’t need it, but she kept on insisting. Dineadma ko! (didn’t mind her) HAHA! Days after, I read this article on How Gadgets and Screens are Harming your Child. And then, I came across Sunnies Specs kids! I realized that my daughter needed protection for her eyes! 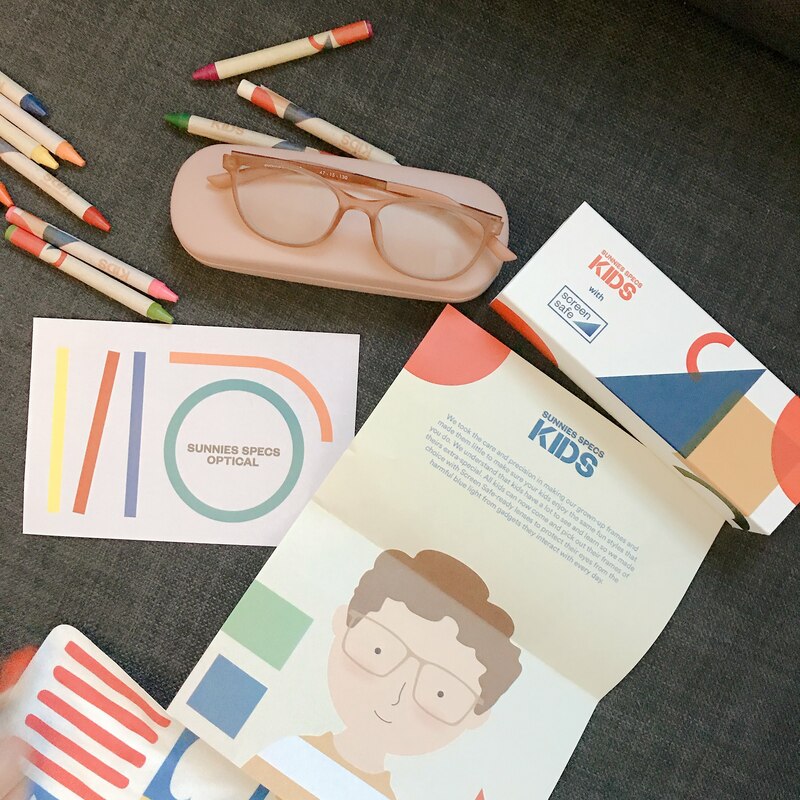 It’s so nice that Sunnies Specs came up with this line of glasses that protects children’s eyes from blue light. 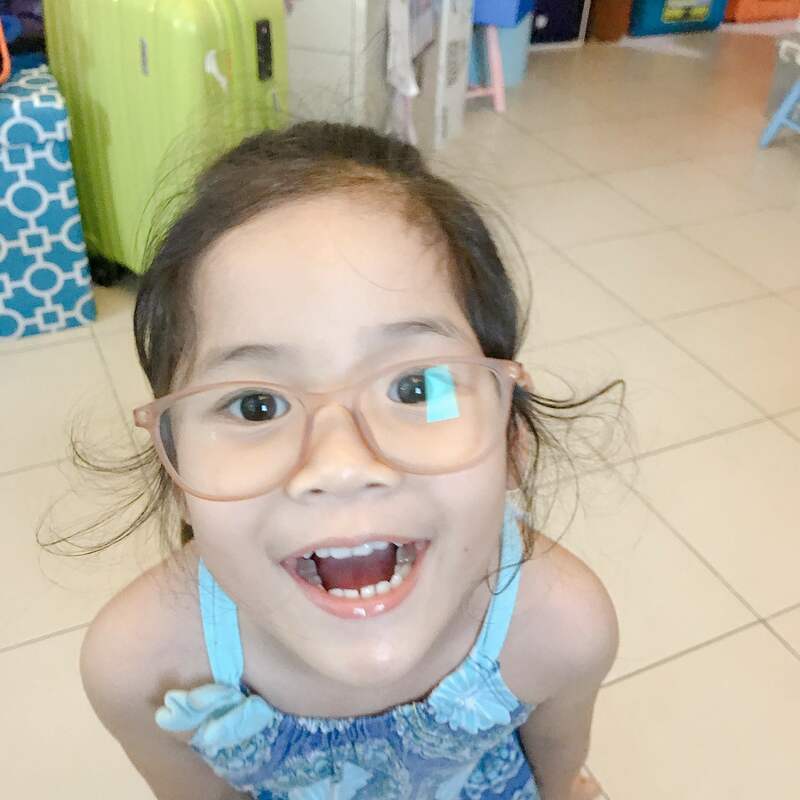 Zeeka Eureka wearing Sunnies Specs for kids! So cute! Look at that face! hahaha! Super kulit! Look who’s so happy about this! Check out https://www.facebook.com/sunniesspecs/ for more information! Moms everywhere are going crazy over essential oils. I know, because I’m one of them. I love essential oils because of its calming effect, especially when I get home after a long day. It also helps keep my house smelling good and cleans the air. But what are essential oils, and what do you need to know before you use them? Essential oils are natural oils typically obtained by distillation. It’s a concentrated liquid containing volatile aroma compounds from plants used in perfumes, cosmetics, soaps and other products. It can also be used to add flavoring to food and drink, and even household cleaning products. Using essential oils have a lot of health benefits, and here are some of them. 1. Relieves stress, anxiety, and depression. 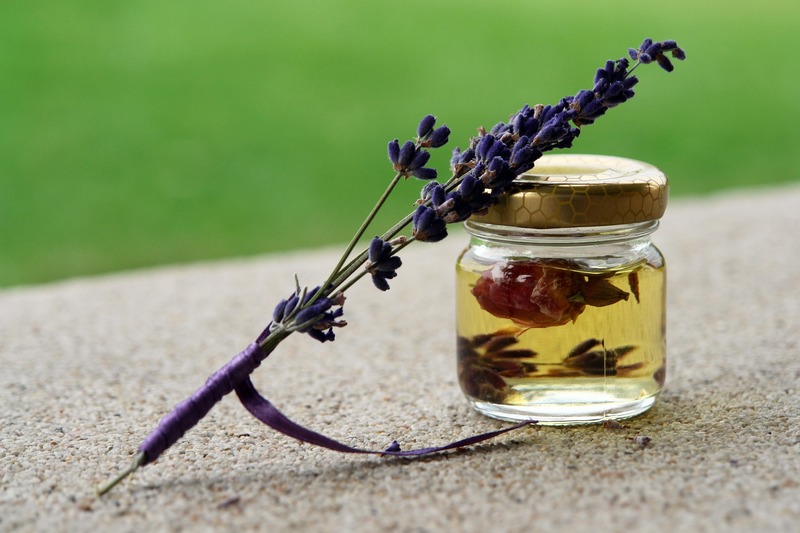 A study found that the scent of oils like lavender and jasmine was just as calming as valium. Inhaling essential oils are said to positively affect the limbic system, a part of the bn and are shown to affecting biological factors such as heart rate, stress levels, rain that regulates emotions. Aromatherapy was also used in the ancient Egyptian and Greek and are shown to affecting biological factors such as heart rate, stress levels, blood pressure, and immune functions. 2. Essential oils are natural remedies for a headache and migraines. Headaches may result from different factors like hormonal imbalance, sinus pressure, congestion, and even sensory stimuli and intense physical exertion. Oils like eucalyptus and peppermint open up sinuses and help relieve pressure. Its anti-inflammatory properties also alleviate swelling. 3. Improves sleep and insomnia. 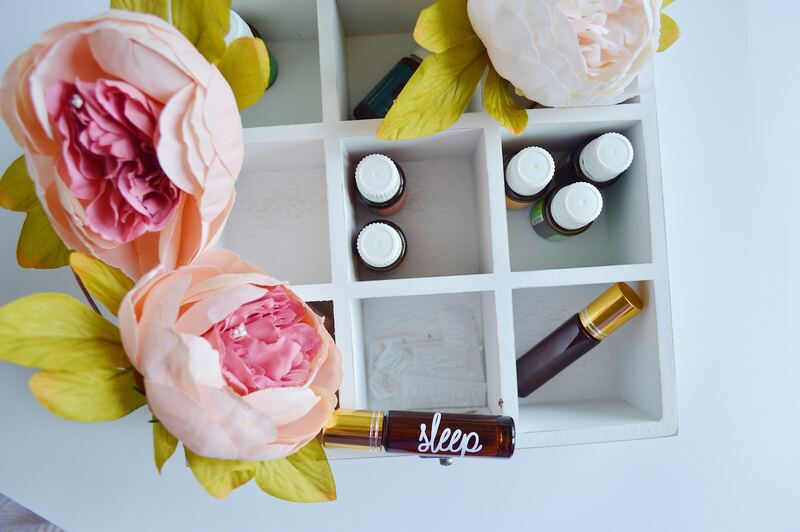 Certain oils like lavender, chamomile, and valerian are tried and tested when it comes to aiding sleep. It is said that these oils calm the nervous system by lowering blood pressure, heart rate, and skin temperature and aids the body’s natural transition to sleep. It also relaxes the mind and calms the senses. Lavender was so effective that a study confirmed using it improved ICU patients’ sleep quality. It has also been used to help improve symptoms of anxiety and depression in postpartum women. Some essential oils are super effective in healing wounds and scratches. I should know because I use them myself. Zeeka gets scratches every now and then, and I found an awesome product from Human Nature called Rescue Balm. Whenever she gets an insect bite, I just dab a small amount of this balm and it heals so quickly. Tea tree oil is well-known for its powerful antiseptic. Studies have shown that tea tree oil is able to kill many strains of bacteria, viruses, and fungi. It is also effective in treating acne and other skin conditions. There are more benefits of essential oil that I haven’t listed here. But clearly, essential oils are worth the investments. But before you use essential oils for you or your family members, it is vital for you to understand how to safely use these oils in order to maximize its benefits. 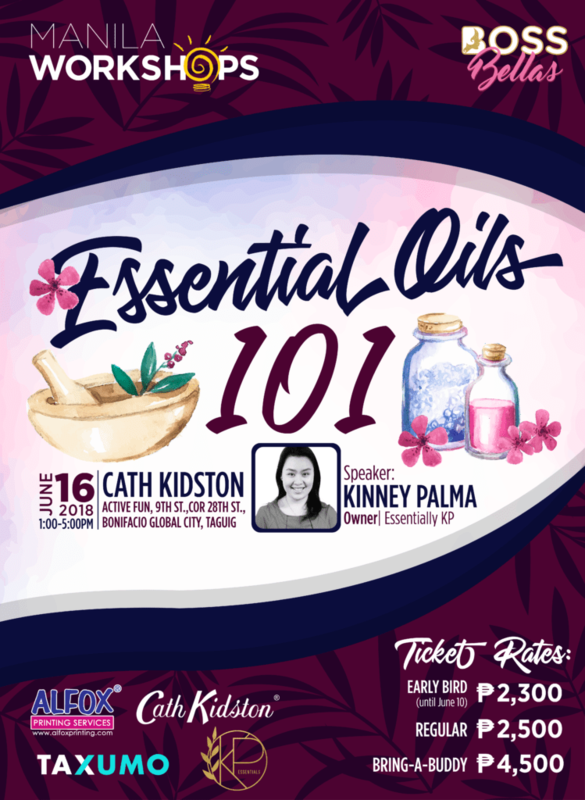 Manila Workshops, in partnership with KP Essentials, can help you understand more about essential oils and how it works. 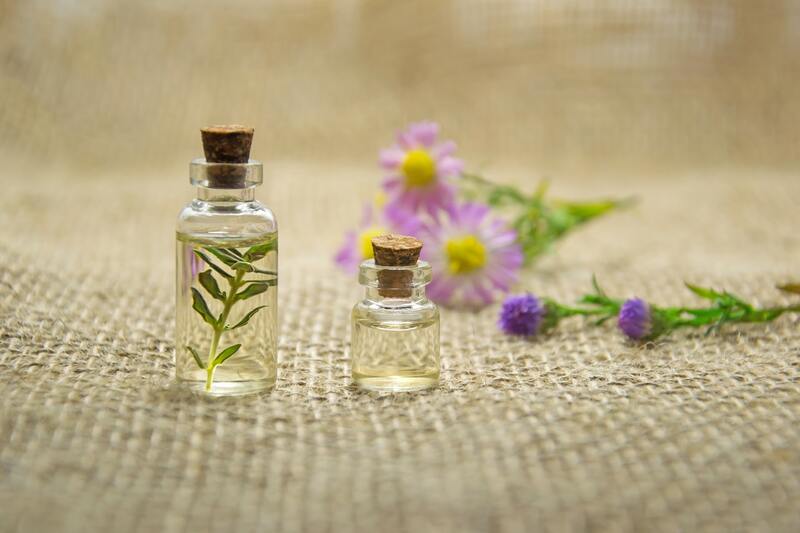 Essential Oils 101 is an offline workshop that will give you a quick background on how to empower yourself and experience the healing powers of essential oils firsthand. Here you will learn which essential oils work best and the basics of making your own blends for specific purposes and ailments. 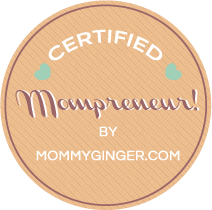 Who knows, attending the workshop can also help you start your own essential oils business? 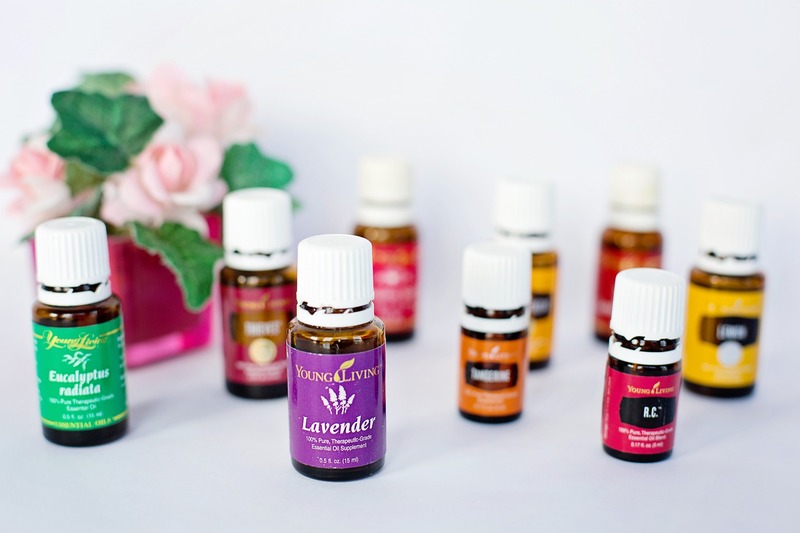 If you want to know more about essential oils, this is the perfect workshop for you. We’ve also created an awesome deal for early birds good until June 10th, 2018. Make it an amiga date and bring your friends to the workshop and get a better deal too! It hurts to see when your kid is sick, especially when they couldn’t describe what’s hurting them. At the start of the year, Zeeka often got sick. And because of that, we had to go to a hospital almost every other week. It was a difficult time, especially with all the things we currently have on our plate. Good thing that I breastfed her as a baby, because it became easier for her to get better faster. So I kept on looking for ways to strengthen my baby’s tummy and prevent her from getting sick. I got to know more about certain foods, vitamins, and supplements that strengthen the body and keep our kids strong and healthy. But more than that, did you know that our stomachs have a great impact on our overall behavior? According to Hyperbiotics, microbes in the gut has a direct relation to our brains via the vagus nerve. This cranial nerve extends from the brainstem directly to the abdomen. Thus, our gut bacteria plays a role in creating and regulating many neurotransmitters that relay signals throughout our bodies. Psychobiotics can produce happy and calming chemicals that have a stress-relieving effect in our bodies. To maintain this, levels of good and bad bacteria in the tummies should also be balanced. I guess this is how we came up with the term “gut feel”, because we literally feel it in our guts. Haha. That’s how I learned about how important probiotics are for our children’s health. Probiotics are live microorganisms that help maintain the balance of good and bad bacteria in the digestive tract. These help aid digestion and also increase the body’s defense system against illnesses. It can even protect us from common colds and flu. Lactobacillus is the most common probiotic that we know of today. A study has shown that it was an effective treatment against infant colic. Bifidobacterium, on the other hand, helps ease digestive issues such as bloating and flatulence. Experts say probiotics may help ease children’s digestive disorders and make potty training easier and more manageable. It is a good bacteria that are present in a lot of food like yogurt, sauerkraut, kimchi, pickles, and some kinds of cheese. But most of these foods can be difficult for kids to eat because you know, some of them aren’t really as kid-friendly. When Zeeka was in the hospital, she often complained of tummy aches. I guess it ran in the family. When I was younger I also had some tummy problems like hyperacidity and constipation (sorry for the TMI). So I decided to add more probiotics to her diet. Good thing I found out about Erceflora Probibears. It’s a yummy tummy supplement with a combined 2-in-1 PROBIO-BOOSTER, Lactobacillus acidophilus, and Bifidobacterium lactis. One pack of Erceflora ProbiBears comes with four cute little yummy cookie bear. And it also has enough probio-boosters that help improve your child’s digestion. I’ve started giving Zeeka Probibears along with a balanced diet and it has greatly improved her digestion. 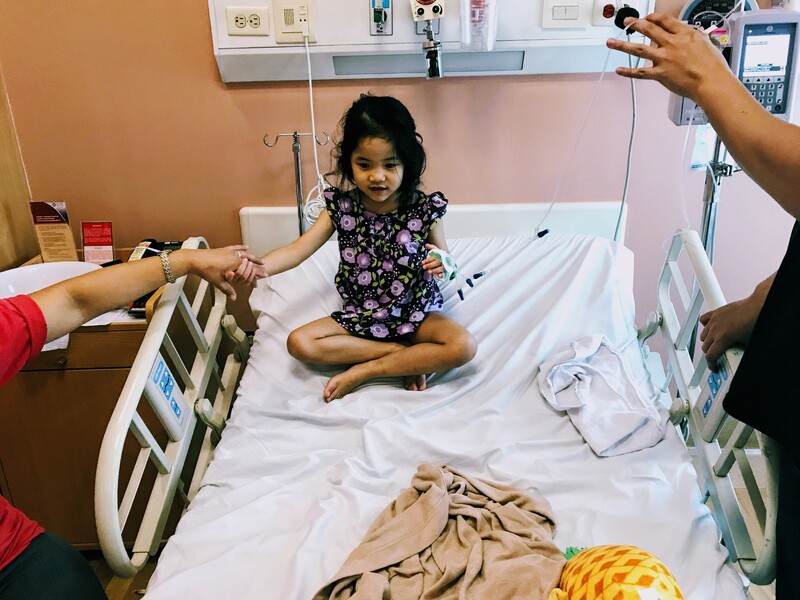 Our trips to the hospital also decreased, and Zeeka is now happier and healthier. Overall, I think Erceflora ProbiBears is effective in keeping your kid’s tummy happy. I also think they could also improve on the packaging because it can get difficult for kids to pry it open. 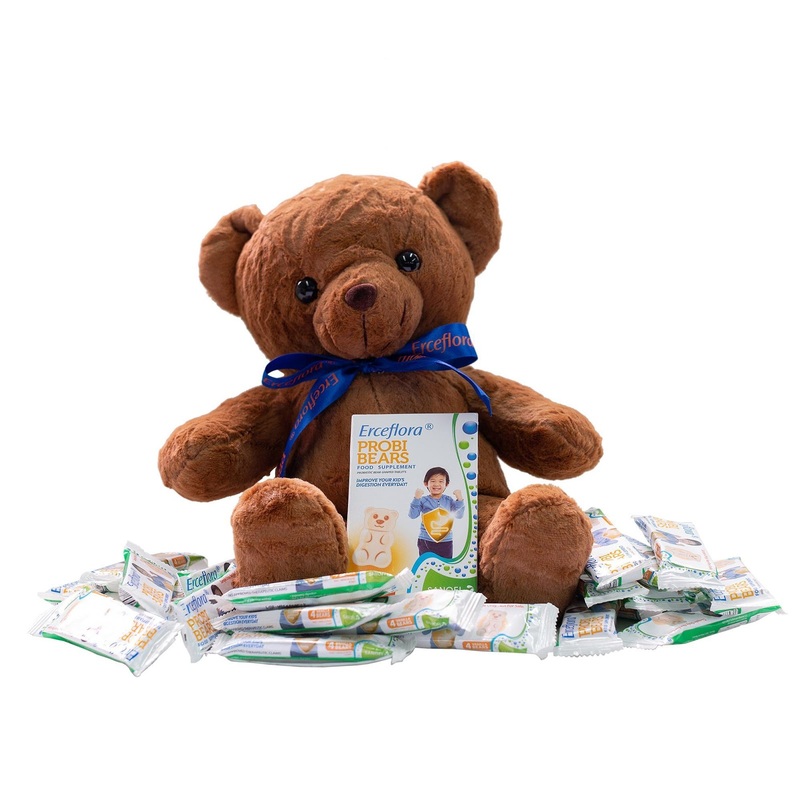 If you want to try out ProbiBears for your kids, they will be available in Mercury Drugs by June for only Php 540. This morning, I was watching the interview of David Letterman of Tina Fey on Netflix. Tina Fey is someone I look up to. What she does is not easy, and clearly, you need to be smart to create funny and (yet) deep comedy sketches that would serve a purpose. I would say that it would take me leaps and bounds before I could accomplish what she has accomplished. This is most definitely true also for the other entrepreneurs that I look up to. Looking at their lives, it seems so unfathomable to accomplish what they have accomplished. So, i’ll just go back to my own little shell and strive to accomplish what I can accomplish. Looking at my life, and basing it on my own standards, I think I have done quite well for myself. I have a life that I love, businesses that give me the feeling of fulfilment and of course, a family that I love being with every single day. This weekend, I was tasked by the CEO (coincidentally my husband; we are all tasked to come up with this) to come up with my life/career goals for the next 5 years. As I stared at my laptop and while trying to create columns to prettify my presentation, I couldn’t think of anything to place inside the table I created. I don’t know why I’m having such a hard time. I usually just dash away and write goals for myself like crazy. All I could think of were two things — one is to save up for Zeeka’s tuition fee for next year and the other was to pay off my credit card debt. Both of these things were certainly goals, but they weren’t goals for myself. Well, okay, obviously these are responsibilities that I had, but it bothered me why I couldn’t think of goals that were specifically for myself. I used to be so sure of what I wanted 3, 5 or 10 years from now. Now, I feel that I just want to get by and survive the year. It may be because now, I’m more mature. MAYBE. I know that success doesn’t come overnight or even in a year. Success for me is doing small things that lead up to small changes that lead to bigger responsibilities that lead to a higher purpose. 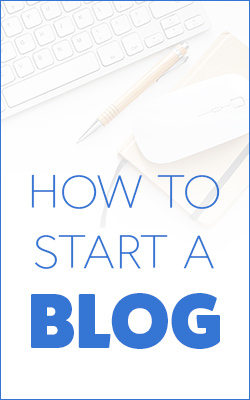 I always wanted to help people create their own businesses. I always wanted to help people realize their full potential and be happy with how their life and careers or businesses are going. And based on personal experience, it takes time for this to happen. We (all including me) just have to be patient. Going back to my purpose of helping, that will take even a longer time for me to achieve. And in terms of success, I don’t even know how to define that for me. My personal definition of success is happiness. So since this is my definition of success, can I write down continue to be happy as a personal goal? The businesswoman inside of me is urging me to write more SMART goals. Specific – how do I become more specific when it comes to happiness? Measurable – do we have levels of happiness? Actionable – Yes, I think this is actionable! Being happy is a choice. Realistic – it is! Time Bound – I need to constantly choose to be happy every single day! How about you? Are you clear with what your goals are? We women play a lot of roles in our lives. We are mothers, wives, sisters, daughters, friends, partners, business owners. And each role is meant to nurture other people and take care of their needs. Oftentimes, we think of other people’s needs that we forget to take care of our own. And it takes a toll on us eventually. I know how it feels. Running a business and a home at the same time is not a menial task. There will be times when you have to sacrifice your time and your happiness just to make sure everything is well. That’s why I think it’s necessary for women to take time off for themselves and realize their worth so they can share their gift to the world. Jewels Conference 2018 is an awesome event I’m excited about. It’s a one day event that seeks to empower women in their personal journeys of balancing their roles, careers, relationships, and dreams. This year’s theme, RADIANCE, will speak to women of their worth and how they are meant to shine and bless the world with their gifts. 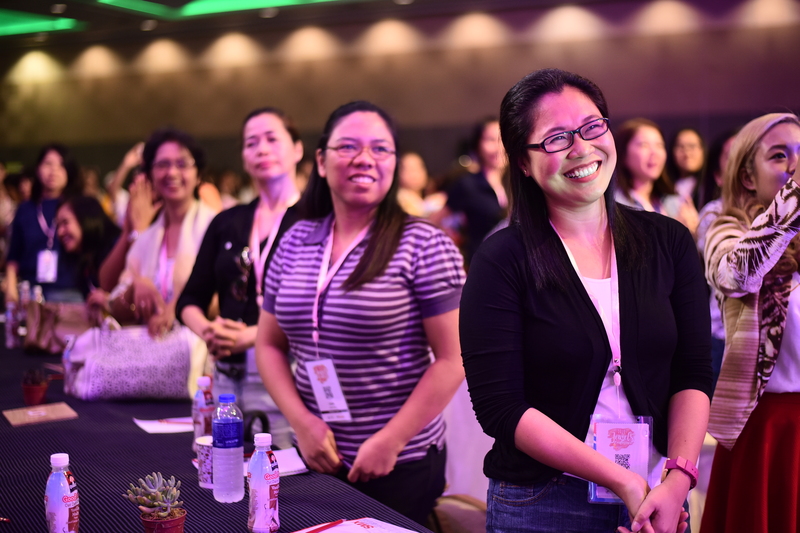 Women attendees can look forward to life-changing talks from women of strength and character, empowering fellowship, and a whole day of learning and appreciating the beauty of womanhood. 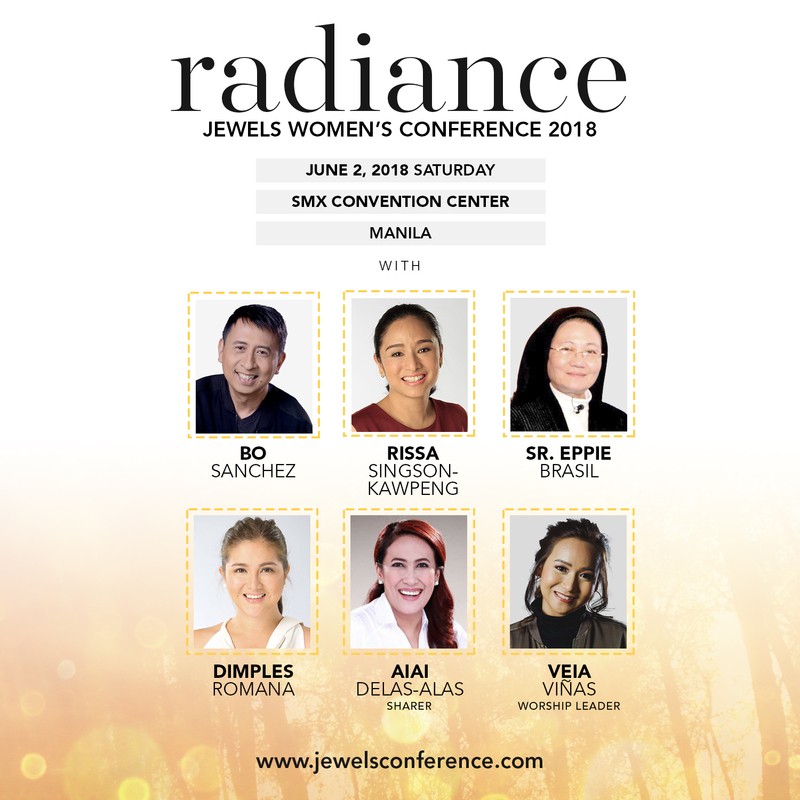 Speakers of hope and inspiration include Rissa Singson-Kapweng of Kerygma Magazine, Sr. Eppie Brasil of Regina Rica, TV personalities Dimples Romana and Ai Ai De Las Alas, worship leader Veia Lim-Vinas, and of course, Bo Sanchez. The wife who’s praying for a fulfilling marriage. The expectant mother who’s asking for strength for her future family. The widow who’s praying for comfort and strength. 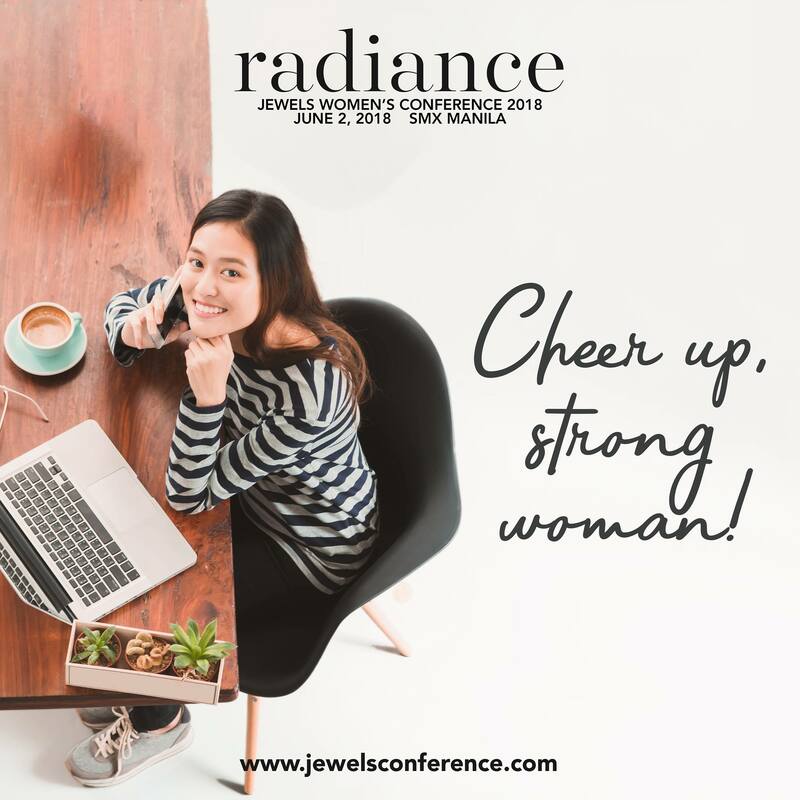 It’s easy to forget how awesome we are as women, so take the time to celebrate the beauty of womanhood and rediscover the power of your true self at Jewels Conference 2018! Make it a girl’s day out and invite the women in your life that inspires you to be better. Have a post-mother’s day celebration and bring your mama tribe and your soul sisters with you. Attend with your sisters, your aunts, your cousins, and your best friends and let your beauty and your light shine. The best part about it? You also get to help more women just by attending. Jewels Conference 2018 is also supporting ministries and foundations working to help women rebuild themselves. These foundations include Grace To Be Born Maternity Home and Nursery, a halfway house for unwed mothers and an orphanage, and Jeremiah 33:6-7 Foundation, a home for sexually abused teenagers. This years event will be held on June 2, 2018, at the SMX Convention Center in Pasay City, Manila. And part of the proceeds of the conference will be given to these foundations in support of their causes. Be blessed and let your radiance shine bright! Get your tickets today (May 10) and take advantage of their early bird rate here. For more information, you can also visit their website at http://www.jewelsconference.com/.